​​“The Year of Women in the Arts” is in full swing at the Huntington Beach Art Center (HBAC). 2017 marks a special year, as for the first time in its history, the Art Center is dedicating an entire series of contemporary exhibitions to the recognition of female artistic talent. 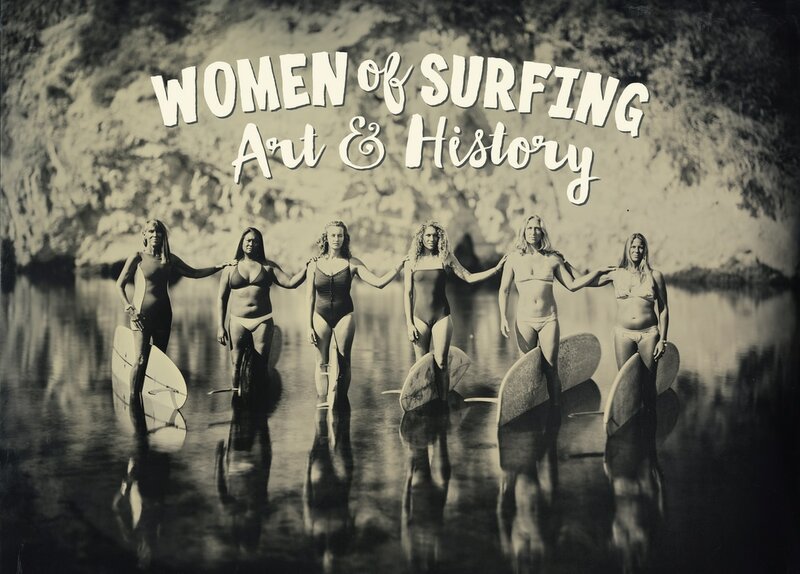 Women of Surfing: Art & History is the second exhibition in this series celebrating women in the arts, delving into the artworks of national and international artists who have an intimate relationship with the ocean and the sport of surfing. Special guests for the opening reception on July 22nd from 6:30 – 9 pm include Mary Lou McGinnis Drummy, 2016’s Women of the Year in Surf City USA’s Walk of Fame and co-founder of the Women’s International Surfing Association and Gidget (Kathy Kohner-Zuckerman), the inspiration for the fictional character Franzie (nicknamed Gidget) from the 1957 surf novel, Gidget: The Little Girl with Big Ideas.